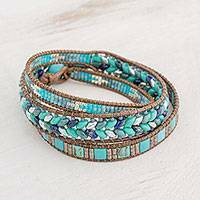 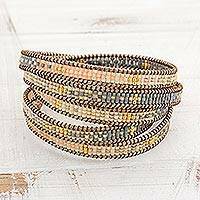 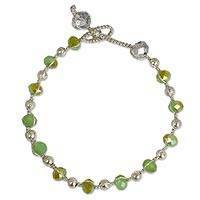 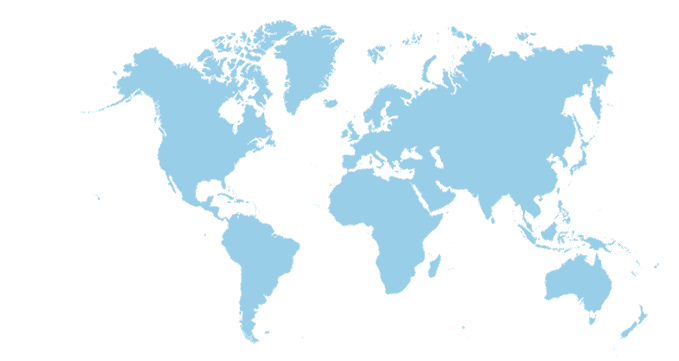 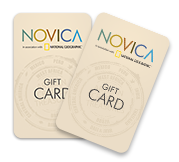 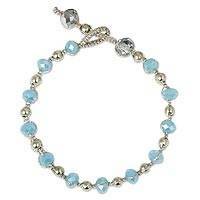 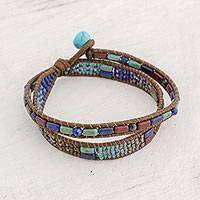 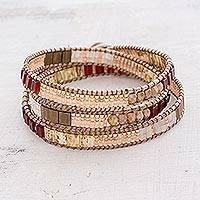 The NOVICA collection of Glass Bead Bracelets is highlighted with either gold or silver to showcase their brilliance. 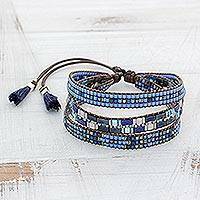 Each crafted by hand by amazing artisans, Glass Bead Bracelets are the perfect accessory for the classically minded as well as the fashion-forward trendsetter. 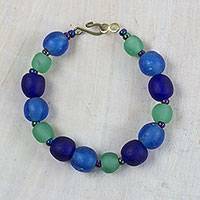 Glass Bead Bracelets come in a variety of vibrant colors. 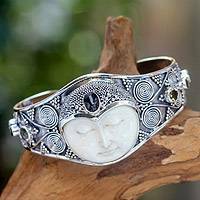 Mexico’s Cynthia Serrano explores the boundaries of imagination as she crafts modern wristbands inspired by ethnic art. 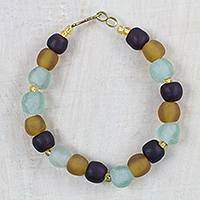 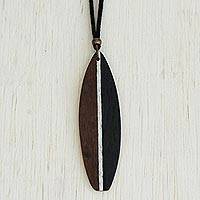 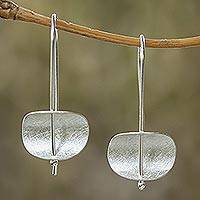 Combining glass with silver or gold, her handcrafted Glass Beaded Bracelets are captivating.